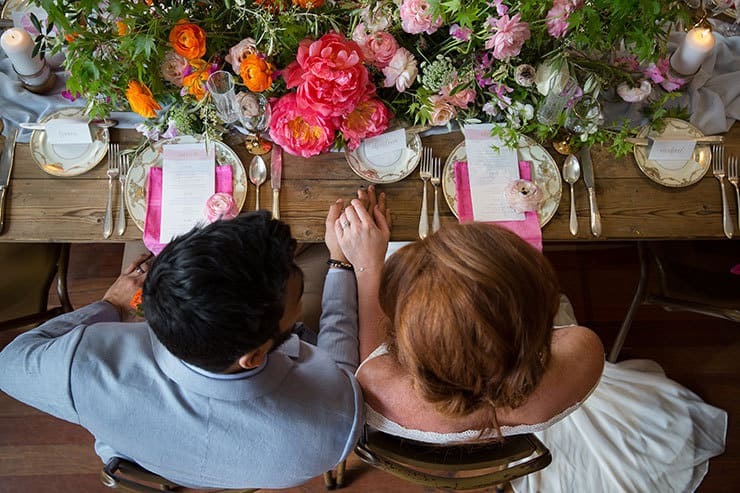 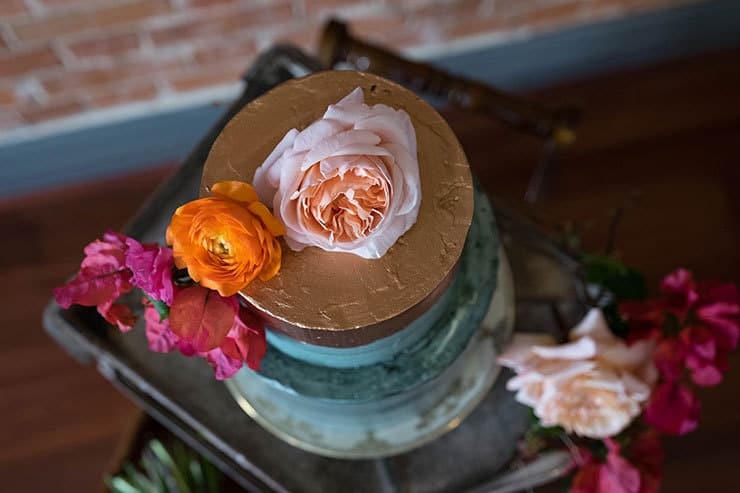 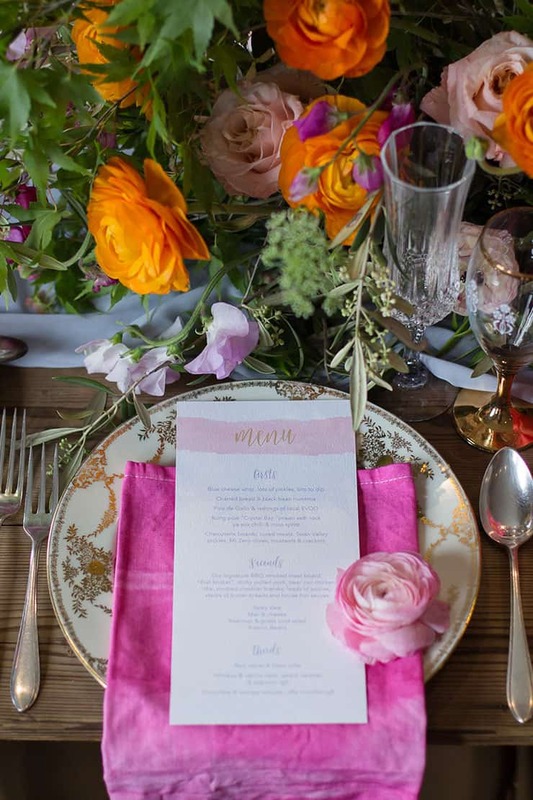 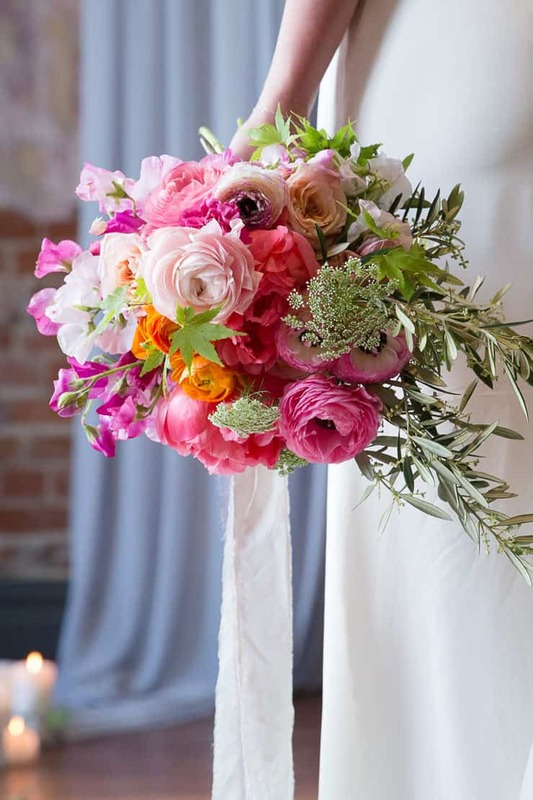 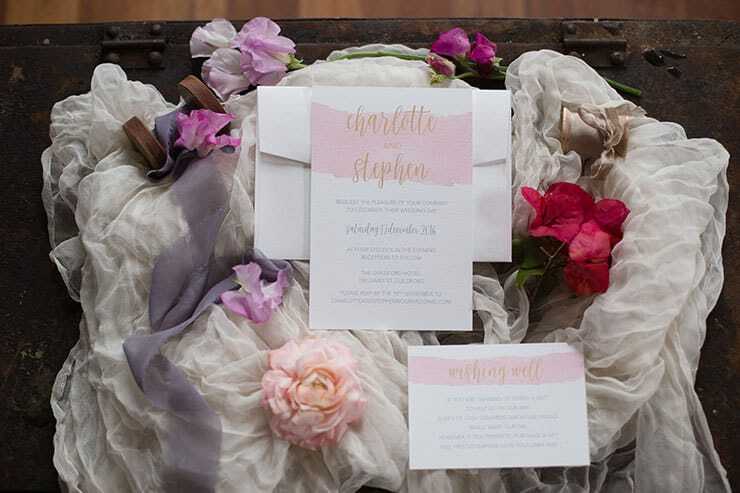 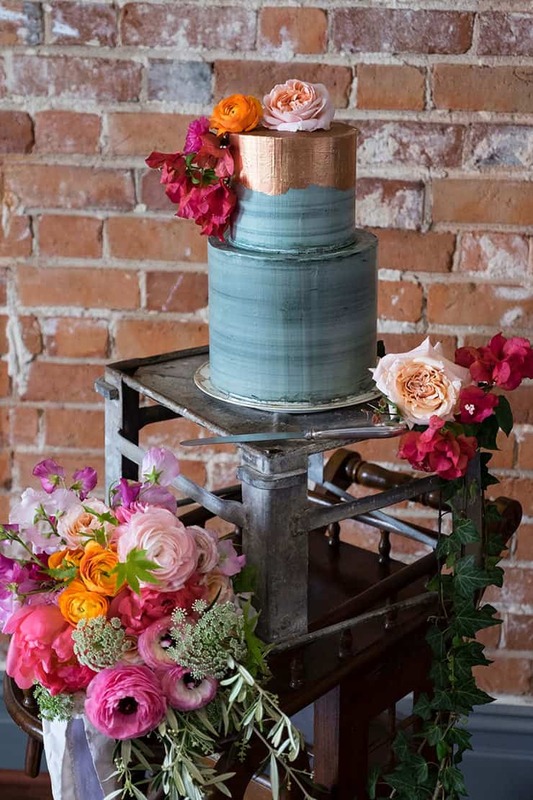 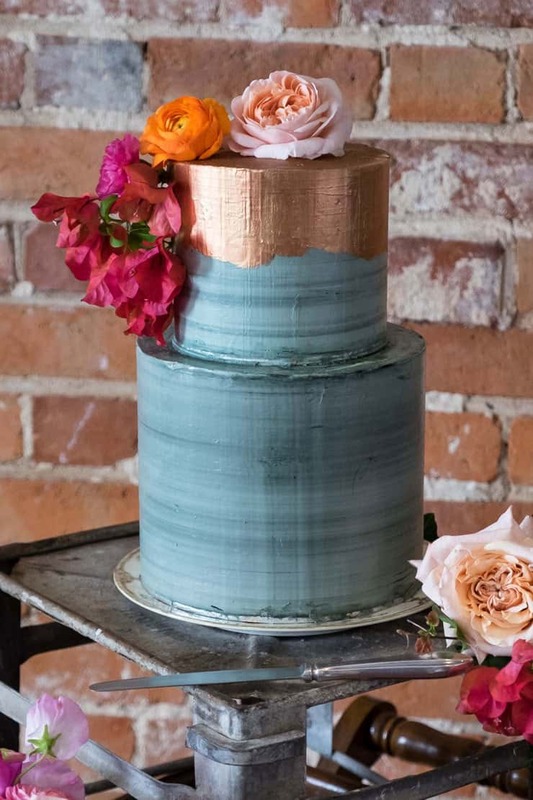 This wedding inspiration combines the best of old world charm and vibrant industrial! 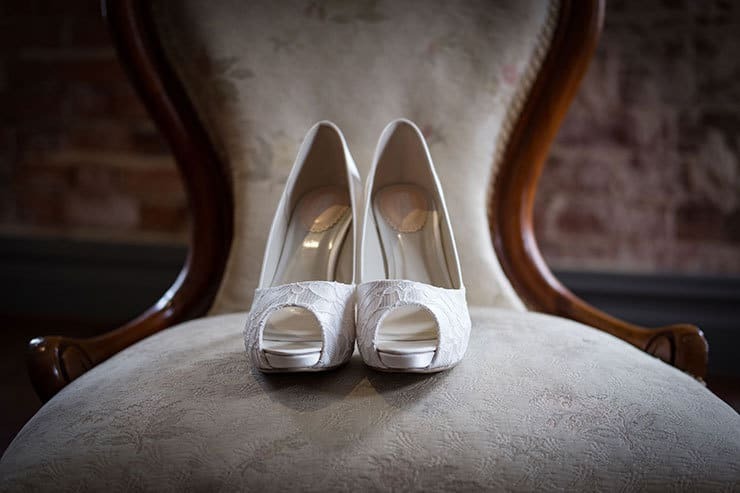 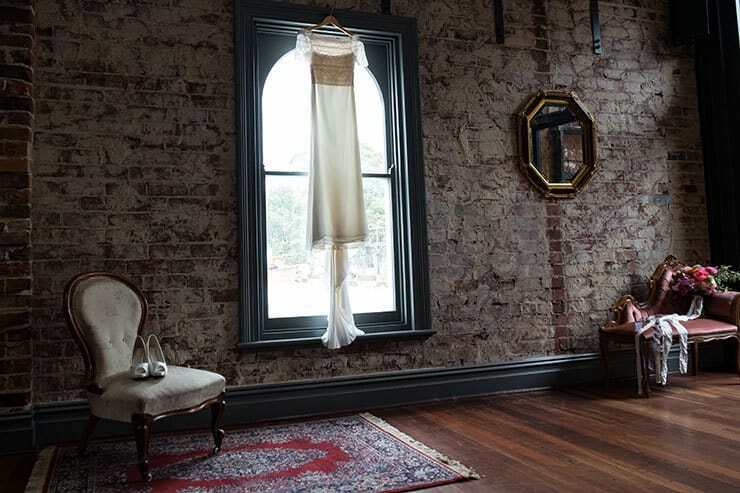 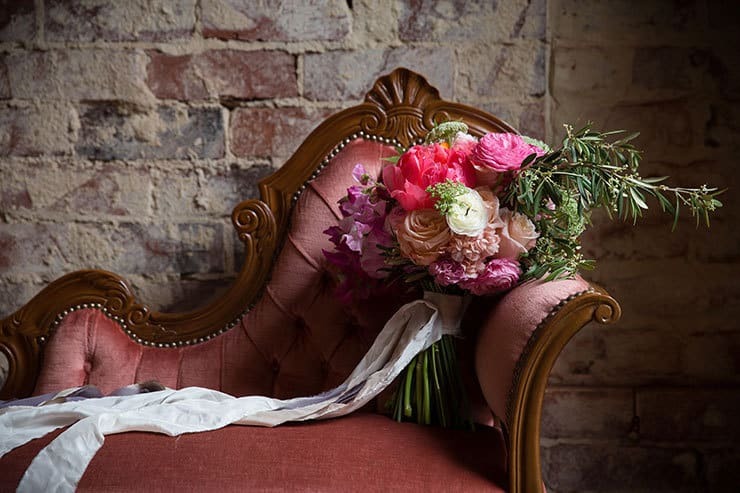 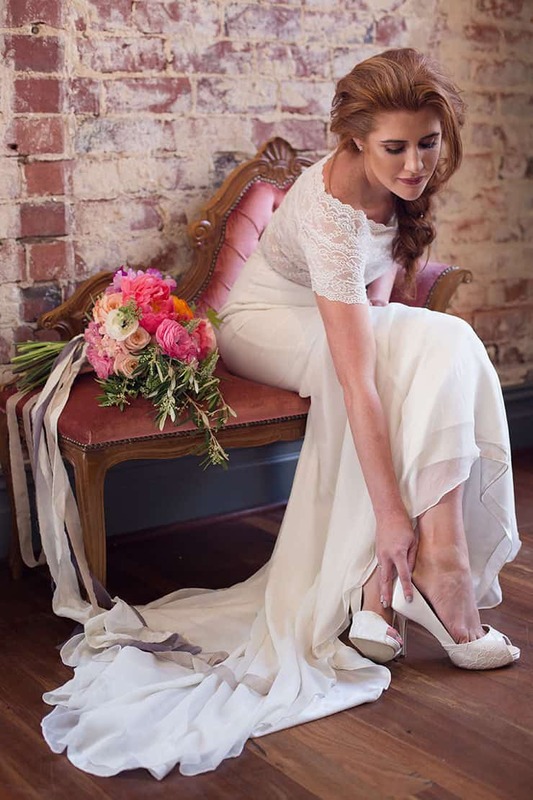 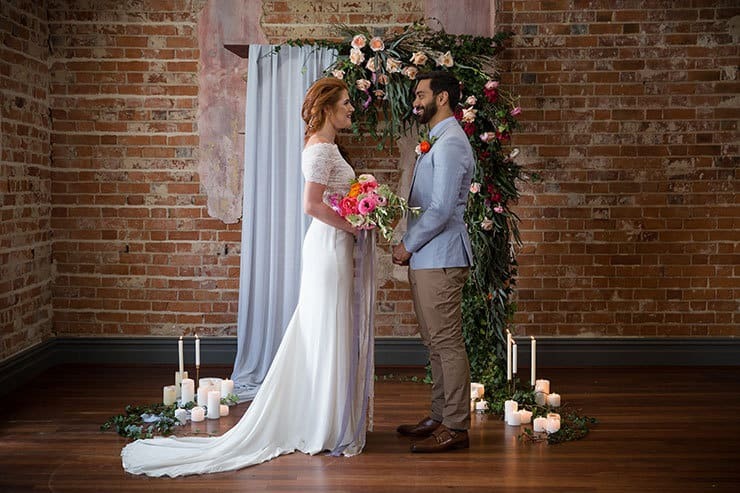 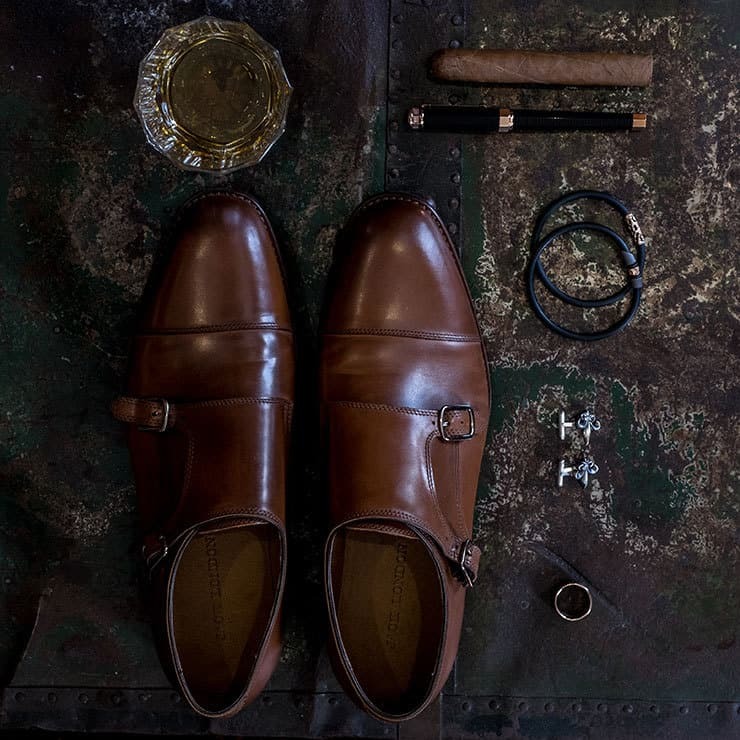 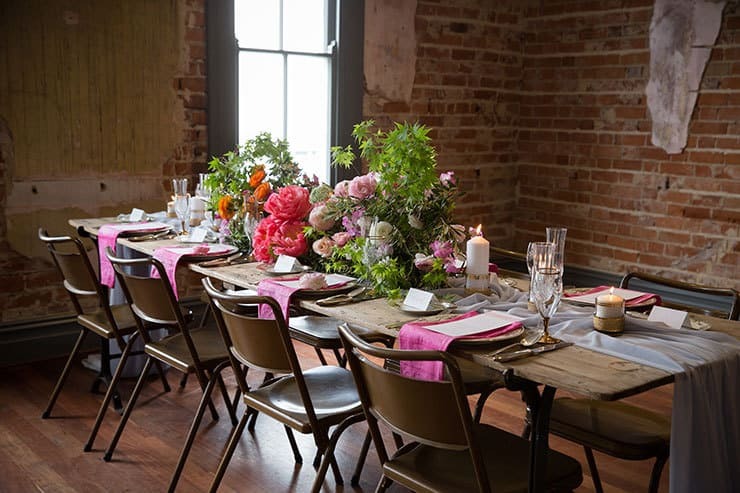 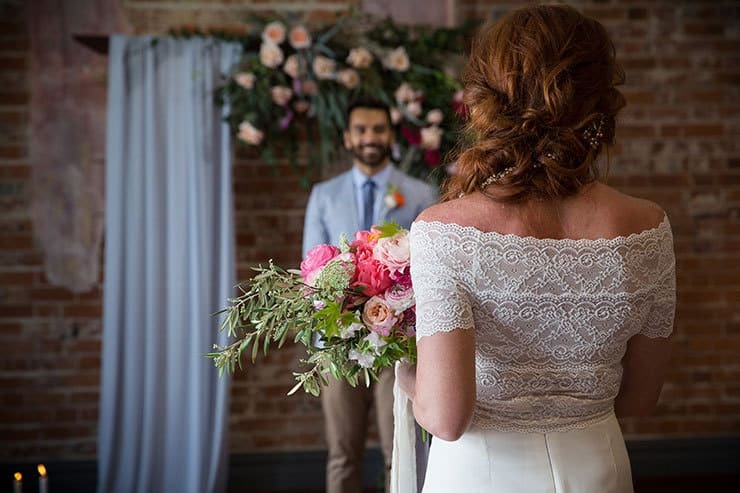 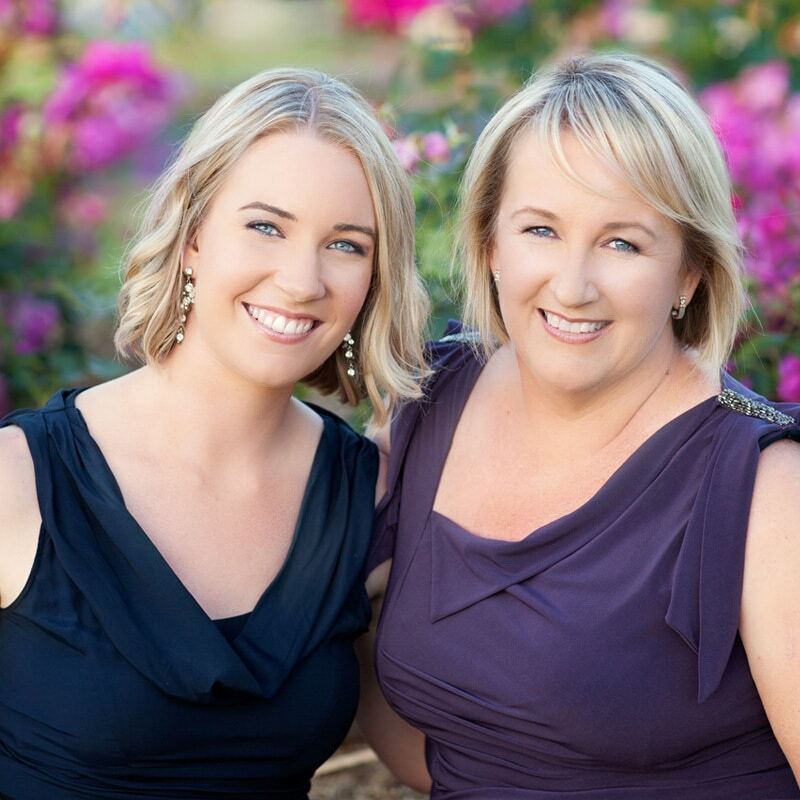 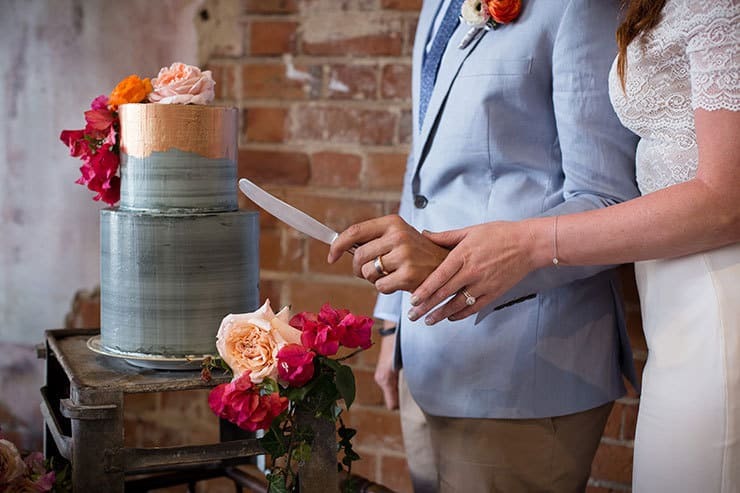 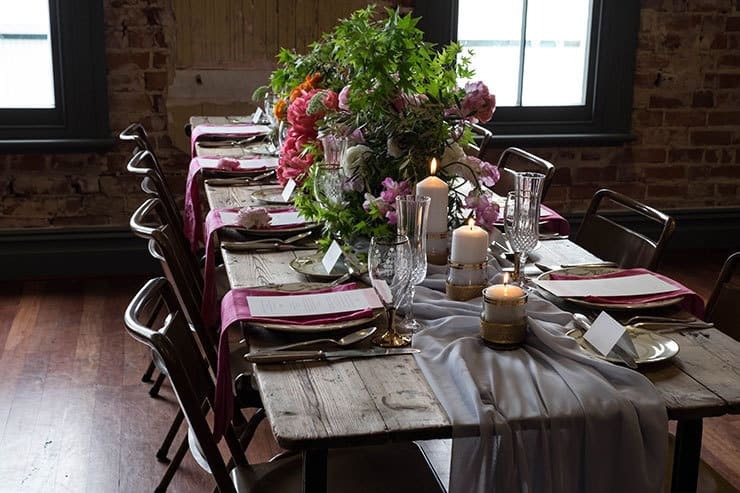 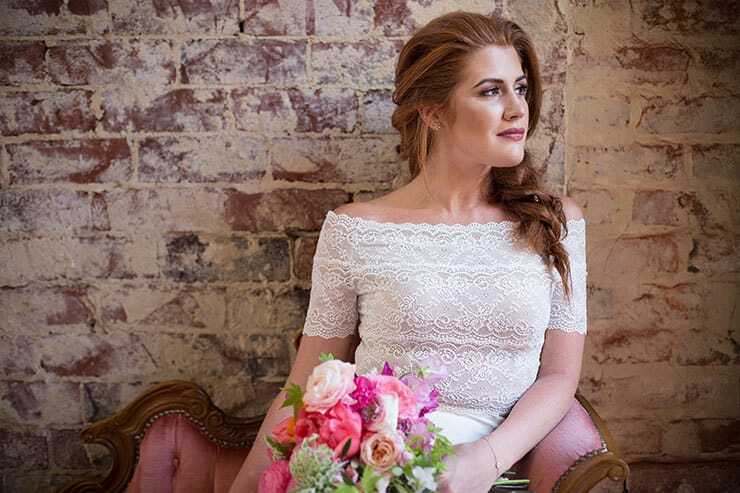 The venue is a dream, with exposed brick walls and large sash windows spilling magic light. 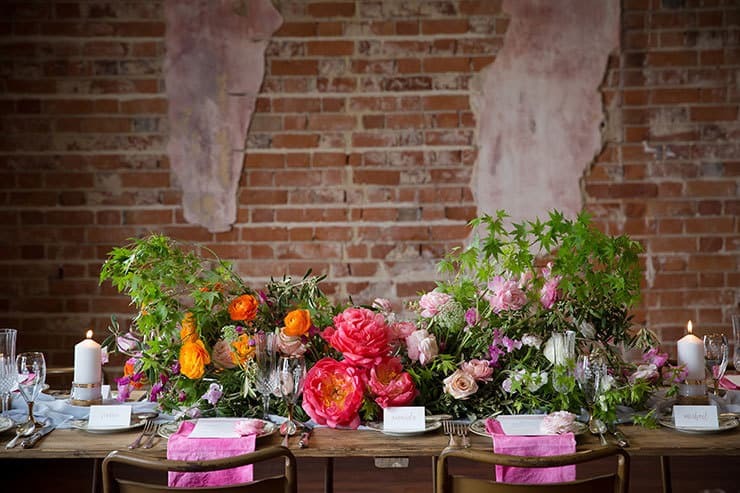 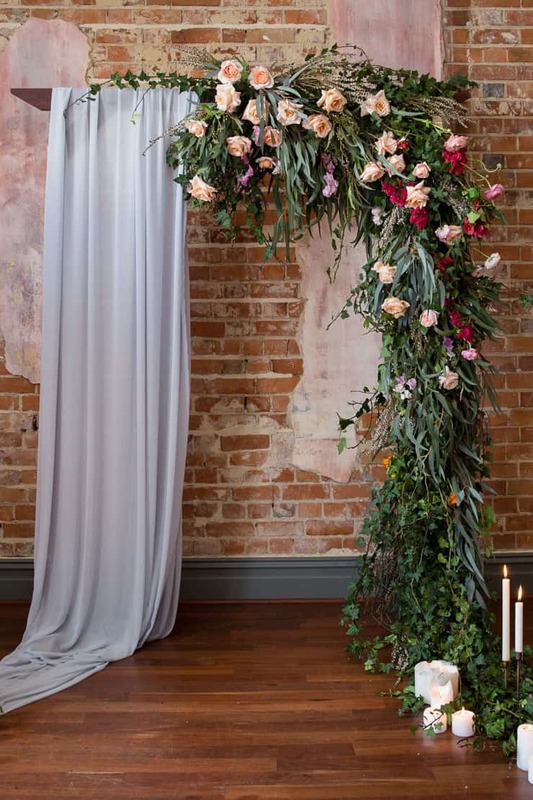 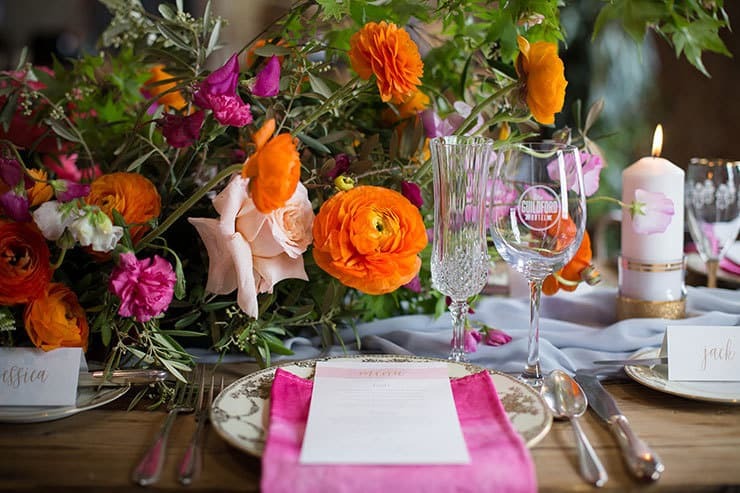 A serenely beautiful ceremony arbour awaits, alongside a lush, colourful tablescape for when it’s time to party! 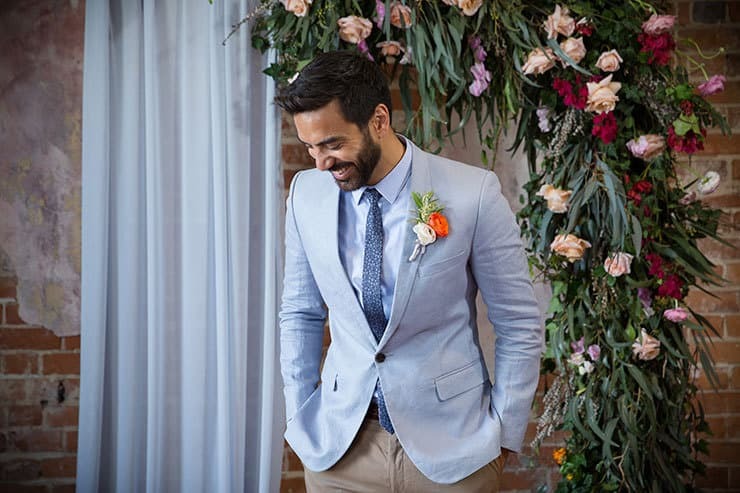 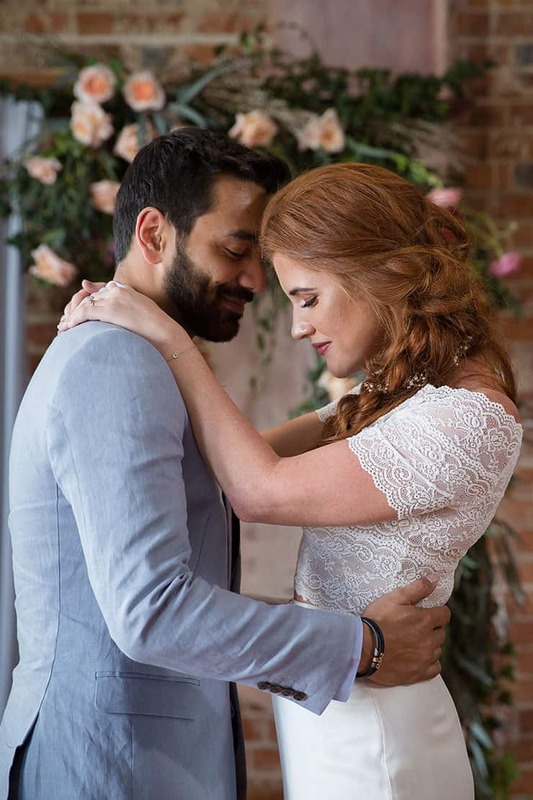 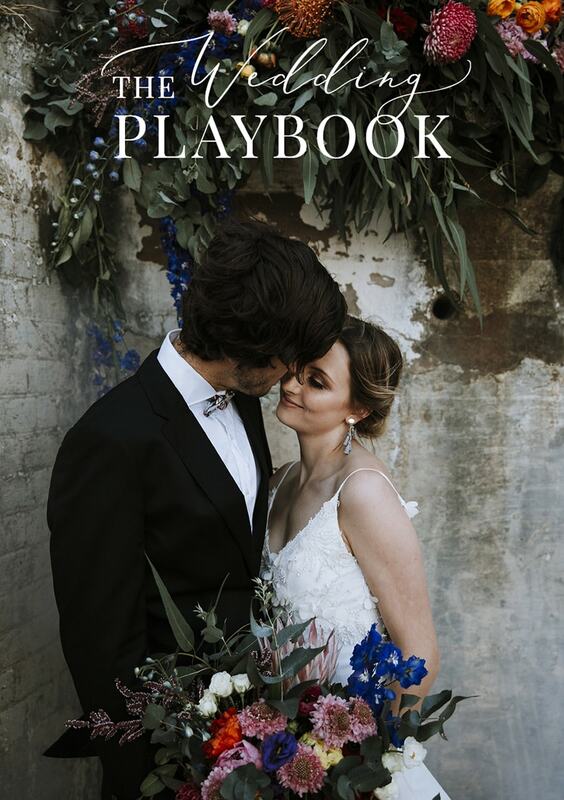 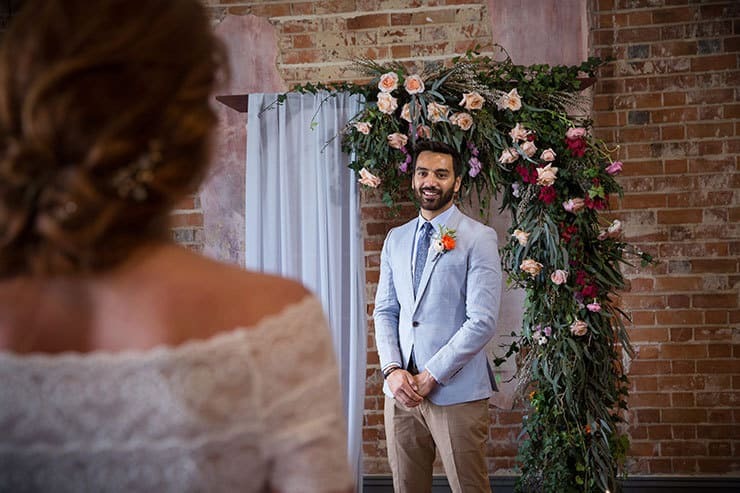 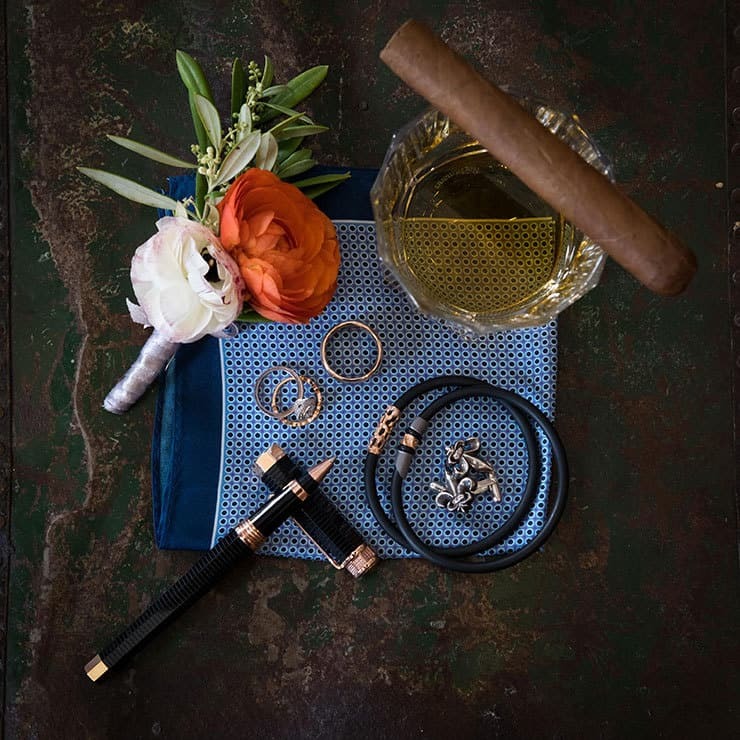 Add relaxed, elegant styling ideas including a dashing powder blue jacket for the groom – and mix all with candlelight for a guaranteed romantic vibe!